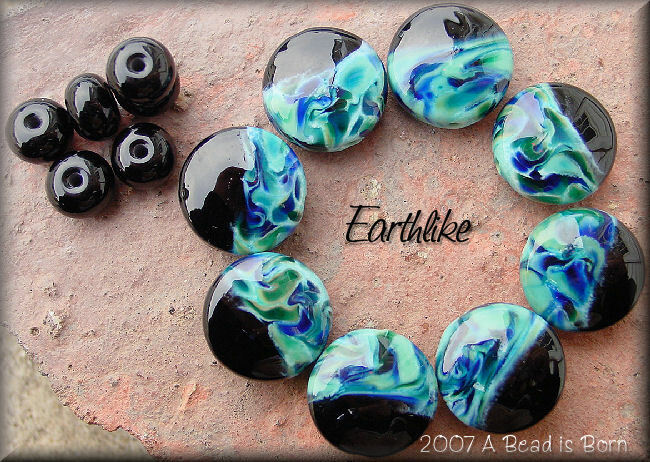 When I look down at these beads, they remind me of the National Geographic pictures from space, looking down on earth. They even seem to have the haze that earth does. These beads speak for themselves. Smooth and full of intense colors. Very eye catching, and even better in person. Lentils measure 17X17mm, accenting jet-black spacers measure about 8mmX10mm.